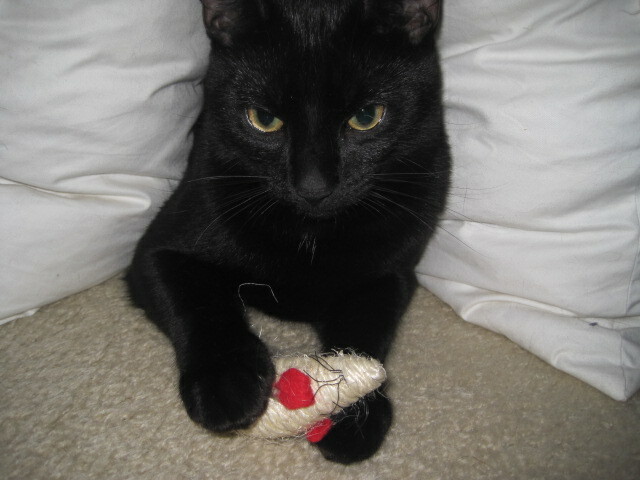 The clicking sound of knitting needles awoke me from my slumber. I curiously poked my head out of my lastest sleeping place and discovered that “the knitter in the house” was STILL working on the kitten booties. When will they be finished? I want a friend to keep me company! 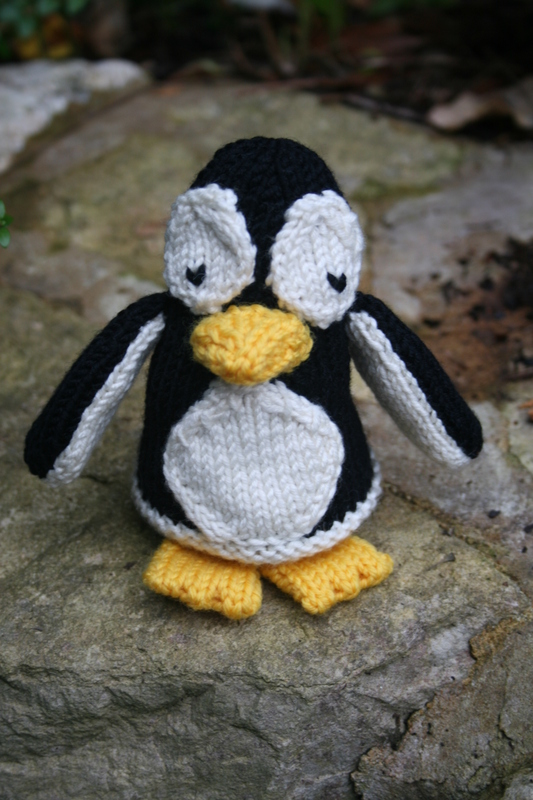 Have just finished knitting Percival penguin, Peppy (the baby) soon to follow with the pattern for both! 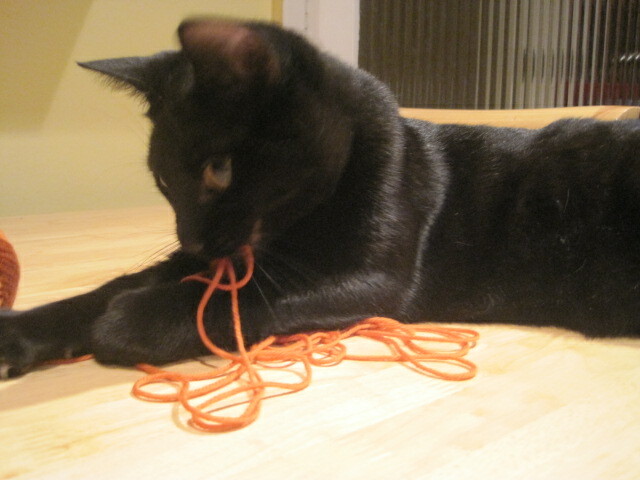 Basil attempts to distract her from designing the next masterpiece! 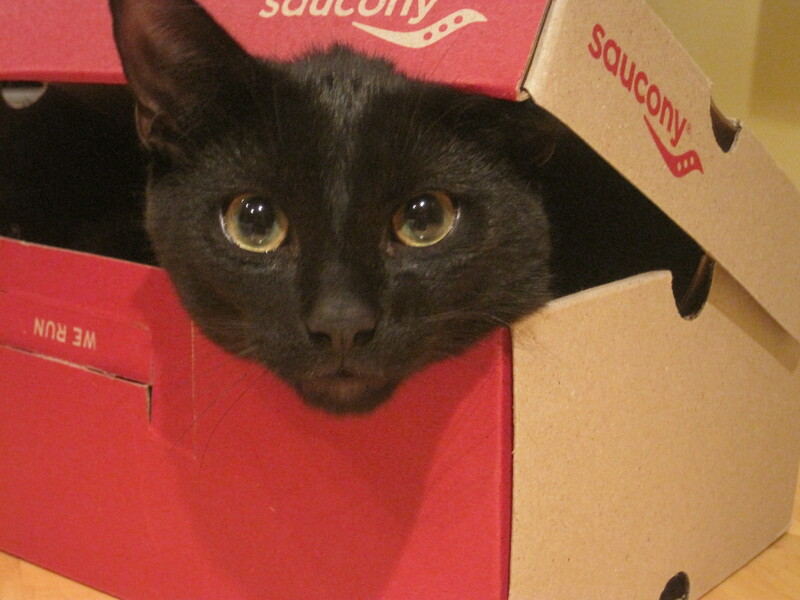 The photo shoot was delayed by the invading cat, Basil strikes again! 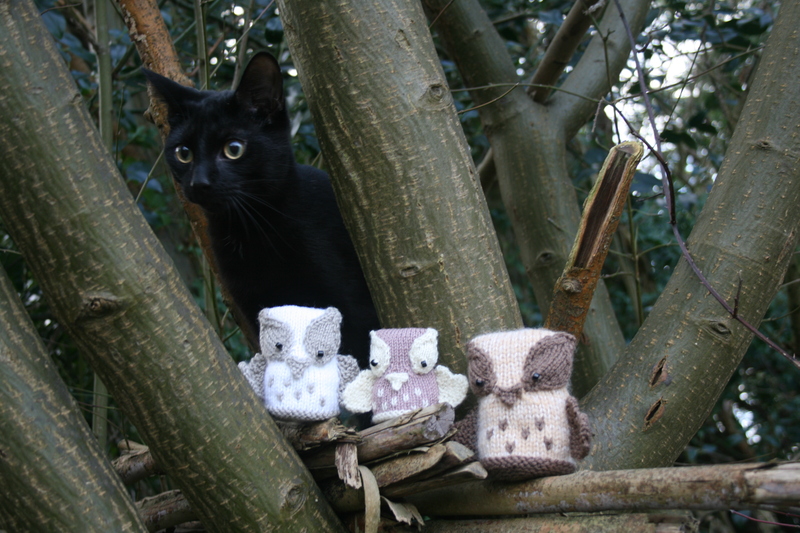 The Hoot Family – without Basil’s involvement! They are finally complete! 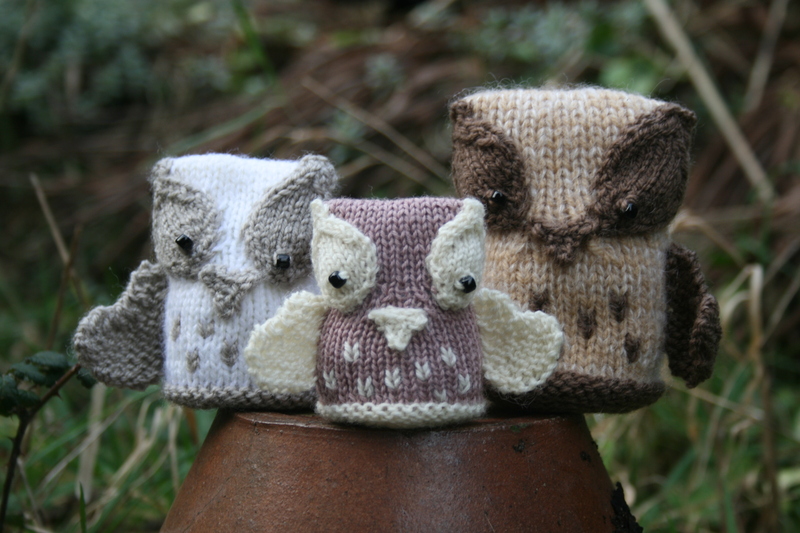 The Hoot Family, meet Harold (the Dad) Hilary (the Mum) and Happy (the baby)! 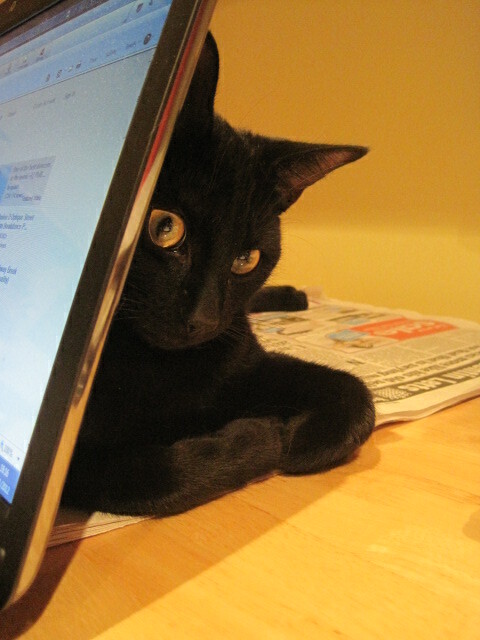 Basil's Exploits, Designing for the little people!